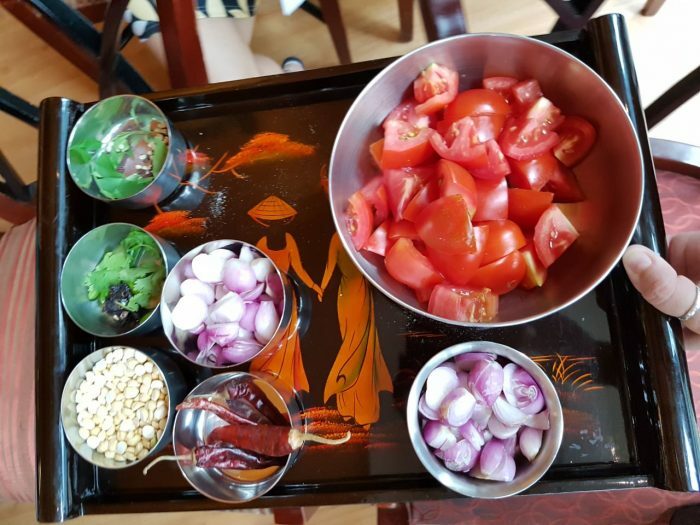 Shanthi Seshadari shares her South Indian Tomato chutney recipe – This flavorful tangy, nutty & spicy tomato chutney can be served as a accompaniment for any snacks, idli, dosa, vada and even with bread. Heat oil in a pan. Add red chiilies, one hing, cashew, onion, tomatoes. and curry leaves. Saute a few times until the stir-fry turns soft. Grind all of the ingredients. Add mustard and curry leaves on top of the chutney.